The Web page once reserved for Google's Nexus One phone is now a monument to Android phones in general -- or at least the ones Google likes best. But not every Android phone gets a spot in Google Phone Gallery. For now, Google lists only four manufacturers -- HTC, LG, Motorola and Samsung - omitting Dell's Aero and Sony's Xperia X10. 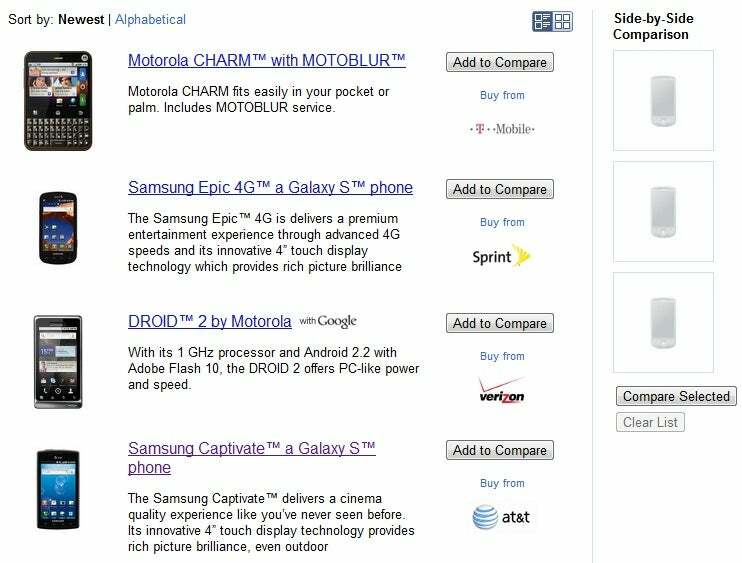 Phones that use search engines besides Google by default, such as AT&T's Motorola Backflip (Yahoo) and Verizon's Samsung Fascinate (Bing), are also left off the list. It's not totally clear whether Google is deliberately snubbing the missing phones; a note in the gallery says "More countries, operators, and phones coming soon!" But the omission of Samsung's Fascinate, despite the presence of other Samsung Galaxy S phones from AT&T, Sprint and T-Mobile, suggest that Google is picking favorites, at least for now. Google should consider listing all Android phones in its showcase. After all, the purpose of the Web page is to inform, and omitting information could backfire. What if a Verizon Wireless customer, having browsed the phones on Google's Web site, heads to the store and is completely (and pleasantly) surprised by the Fascinate? That customer might not be aware that Bing, not Google, handles all the searching. Maybe a section of the gallery for "non-Google Android phones" would get the company's point across without leaving customers in the dark.